• make any necessary staffing changes. Develop a fair employee evaluation system, explain it to your staff, and apply it evenhandedly. Start by creating a standard form for employee evaluation and issue annual raises. Budget a certain amount for raises at the beginning of the year. Your employees expect to be rewarded for improving their job performance. Base raises on merit to reward excellent and good performers. Giving everyone a flat raise—for example, 3.5% of the previous year's salary across the board—tells your best performers that it doesn't matter how hard they work and tells your poorest performers that they can continue to generate inferior results and still be rewarded. Remember that you do not have to give everyone a raise. You are not obligated to reward poor performers by issuing salary increases. Let everyone know what the highest, lowest, and average raises are; why each employee earned the raise you determined; and what each employee must do to earn the highest raise. Focus on accomplishments and job performance, not personalities. Above all, avoid playing favorites. Be systematic for consistent, effective, fair evaluation. The cornerstone of such a system is the job description. Your job descriptions define who is doing what within your practice. Use them to make sure your employees are doing tasks that are vital to practice success and not doing tasks that were vital two years ago but are no longer necessary. Practices expand, merge, downsize, affiliate, specialize, and generally change. As they do, so do the tasks necessary for success. You can measure how well an employee is performing, but unless you first ascertain that the employee is doing what he or she should be doing, your other evaluations are, at best, misleading. Review—and, if necessary, revise—your job descriptions at least once per year. To determine raises, check each employee's performance against your job descriptions, collect all the notes about employee performance you have made throughout the year, and interview each employee's immediate supervisor and those who work with the employee. Enter these data onto your standard formal evaluation form. Calculate performance using points. For example, if you grade employees on 12 separate points, using a scale of 0 to 4 (such as the standard college grading system), then the highest total possible is 48 points. Divide total points by 12. For example, an employee scoring 44 total points will receive a grade of 3.66, a B plus. Evaluate each employee's performance using points and line them up from highest to lowest. Assign a corresponding raise percentage. For example, a perfect 4.0 may mean a raise of 8% while a grade of 3.76 to 3.99 might mean a 6% raise, a grade of 3.51 to 3.75 might mean a 5% raise, and so on. If your best employee earned $30,000 the previous year and you want to issue an 8% raise, that will amount to $2,400 and a new salary of $32,400. Convert all percentages to dollar amounts and add up all the proposed raises. Check the total against your budgeted amount. If it is substantially larger, reduce each raise by a proportionate figure (for example, cut all raises by 10%) and compare again. Keep adjusting the amount until you reach your budgeted amount. This allows you to retain the relative weighting of your raises. At each employee's evaluation interview, explain exactly what each employee is earning as a raise and why. Establish performance goals each employee must meet to receive a higher raise. Use specifics, answer questions, and give employees an opportunity to say what they need and want to say but establish limits. Also avoid lecturing and end the evaluation interview on an upbeat note, if possible. Listen to your employees. You may learn something useful about your systems, employees, hierarchy, job structuring, and office chemistry. You may need to consider revising your job descriptions. Have each employee sign or initial your standard written evaluation form. Leave room for employee comments and objections. Give the employee a copy for his or her records. If the employee's evaluation is poor, set goals for immediate improvement and schedule a supplemental evaluation for the end of that period (usually one to three months), repeating the process if the employee has made some improvement but needs to make more improvement. Remember that you may need to adjust personnel. This may mean either revising your staffing plan or replacing people. Unfortunately, some people simply cannot do the job the way you must have it done. You may be able to help some of these people become more productive or find help if they need it. But, in some cases, you may have no alternative but to let some people go. Have a standard, effective evaluation system and give raises with a purpose. Be fair, objective, and evenhanded. Understand that your employees may compare their evaluation results with those of their coworkers. Make sure that the evaluations are based on objective factors. Use the evaluations to determine whether your practice is properly staffed, and make any necessary personnel changes. Remember your bottom line: making your practice run as smoothly and effectively as possible through effective employee motivation. — This article was reproduced with permission from The Health Care Group, a Plymouth Meeting, Pa.-based company that has provided legal and consulting services to medical practices for more than 40 years. The company is located at 140 W. Germantown Pike, Suite 200, Plymouth Meeting, Pa. 19462-1421. The phone number is 800-473-0032. 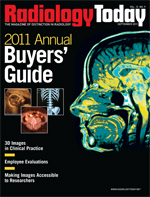 A version of this article can be found at www.thehealthcaregroup.com/pdf/92215.pdf.